To effectively eradicate mold after a flood, you need patience, commitment, and an unsentimental attitude about household belongings. Keep these tips and pointers in mind as you work toward getting the job done. 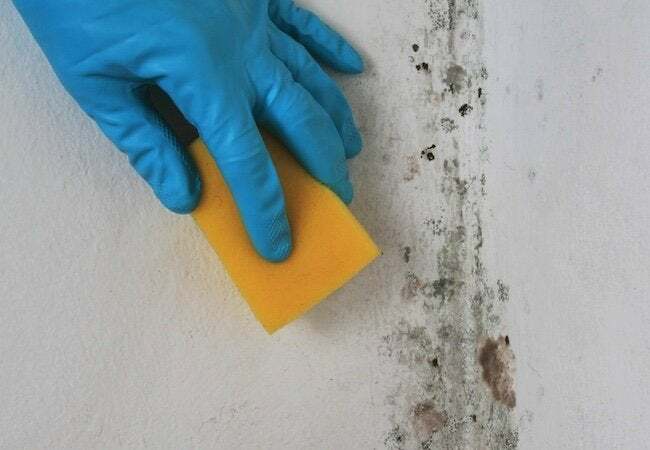 No doubt the best way to manage mold is to prevent it. But if your basement floods and mold gets a head start, there’s nothing to do but take on the serious cleanup job ahead of you. You can always hire a specialized contractor, but you can also handle the task yourself so long as you exercise caution. Be sure to don rubber gloves and to prevent the inhalation of mold spores, wear a respirator. If any carpets or carpet pads took a bath in the flood, you’ll probably have to pitch them to the curb. Do the same for upholstered furniture and books and any appliances with fans—computers, for example, or microwaves. Jewelry, dishes, and other non-porous items can often be saved with a solution of bleach and water (about a cup of the former for every gallon of the latter). Just be careful not to mix the bleach with any products containing ammonia. Finally, bear in mind that if you save any heirlooms in questionable condition, it’s best to store them away from the items you have reason to believe are mold-free. Better safe than sorry, after all!